According to Wikipedia an office is generally a room or other area where administrative work is done, but may also denote a position within an organization with specific duties attached to it. Really? I don’t think so! Wikipedia’s drab generalisation of the office environment isn’t going to catch anyone’s attention to be honest. If it were up to me (and I’m not saying it is) I would describe the office as follows. The Office should be a place where great minds come together and spit out amazing ideas. It should be a place of productivity, a place where respect is an underlying current that pushes away internal conflict. Am I going on a bit here? Anyway the point I’m trying to make is the Office is more about the people who populate it rather than the four walls that surround them. 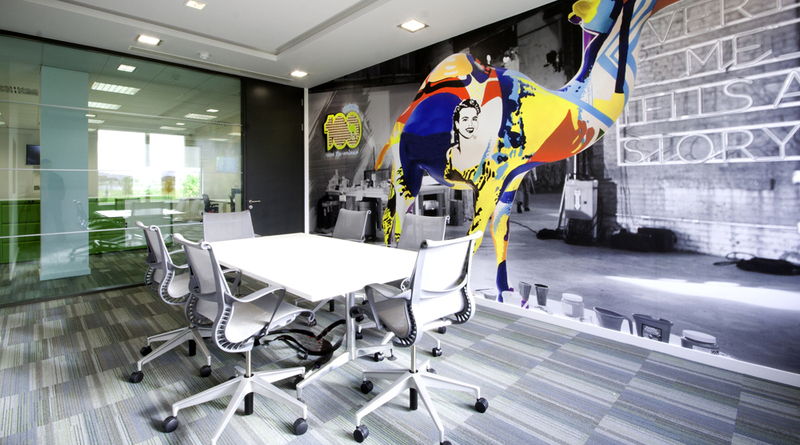 The Office is a living vibrant creature that reacts to changes in the surrounding environment. In order to have a happy working office environment there are certain requirements that us Humans need. Certain criteria must be met. According to many studies (and good old fashioned cop on) we are visual and social creatures and this should be reflected in the office environment. To coin the phrase that originates somewhere in the Orient, “A picture paints a thousand words” couldn’t be closer to the truth. Images when beautiful enough can calm us. Art can alter our state of mind and keep us focused on the day to day mundane chores the Office demands of us. 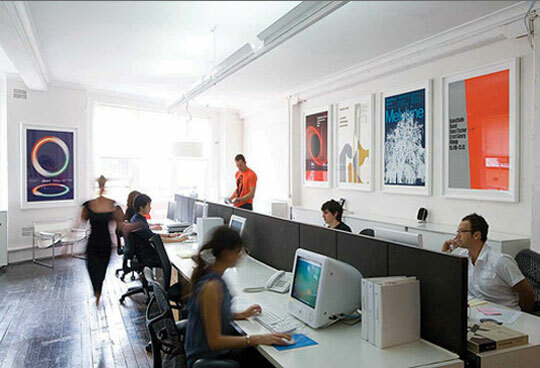 Cost effective professional printing can illuminate the Office space. The right images at the right angle with the correct lighting can be food for the soul. 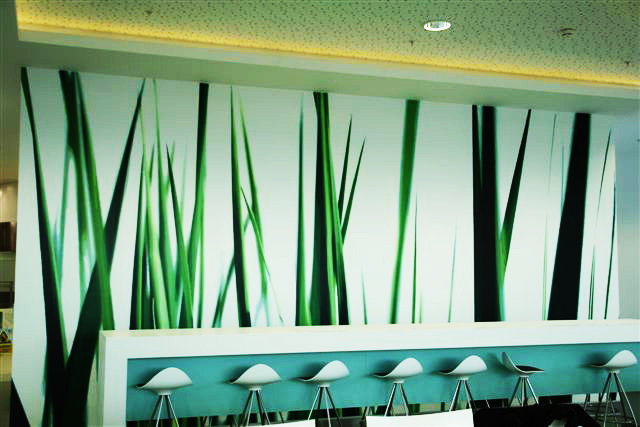 A stunning focal point as you enter the Office space can be as beneficial to your customers as it is for your staff. Trust between companies and their potential clients nowadays are built on social etiquette, reputation and word of mouth to name but a few aspects. Staff can be great advocates for your brand and if they’re happy then the brand benefits organically. 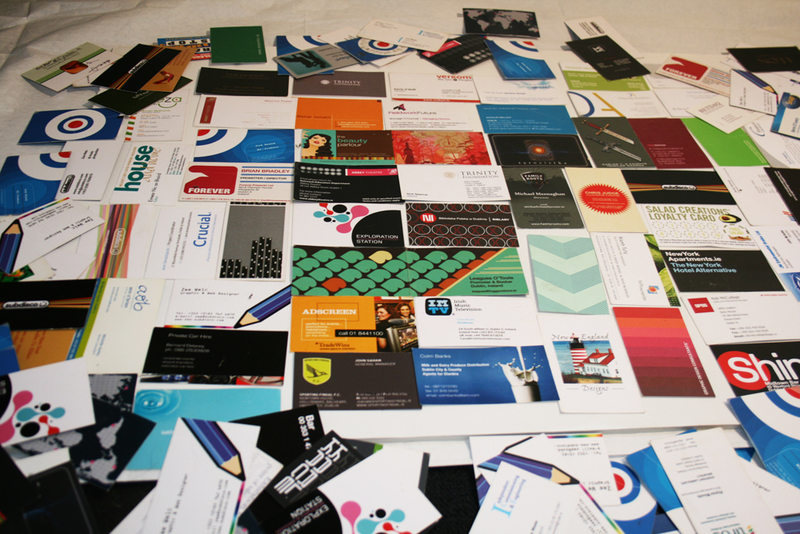 Fitting your office out with print can be a taunting challenge. What image shall I use? Will the print match my colour scheme? Will I have to install the print? Can I change it further down the line? I’m not sure of the dimensions I need to cover? It needs to be installed within a certain time frame. How much will all this cost? The end result is always fantastic and uplifting to both staff and customer. 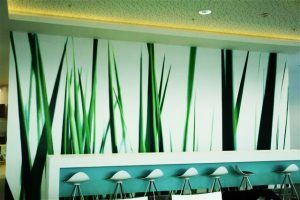 Print does contribute hugely towards a happy office environment so don’t miss the opportunity to transform those blank walls and spaces in your office with customised graphics. Our graphics will simply amaze! 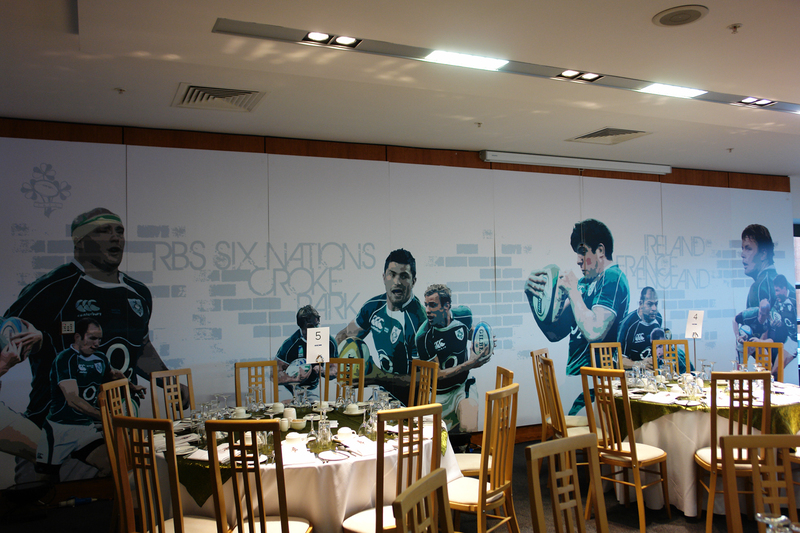 For further information on photo prints and graphics for your office contact us here.